We recently covered the ten best and most influential 3G and GSM devices ever, but not every handset is destined for greatness, and it turns out that there have been more than a handful of disasters and catastrophes along the way. This list is our top ten handset disasters, but there are many more to come. And despite being failures, some of these handsets are quite collectable, so we have included a buyers guide in some cases as well. In our view the most disastrous mobile phone product launch ever, the Microsoft KIN was the wrong product at the wrong time, but that was only half the story. While the world was waiting for Windows Phone 7 to come along and do battle with the iPhone and Android handsets, Microsoft were also working on the KIN feature phone. Part of the problem was that feature phones were dying off, and the KIN was just too limited to be accepted by consumers. But what was worse is that the software was slow and buggy, so even if you did buy one (and hardly anyone did) the chances were that they'd send it back. But the KIN was a double disaster. 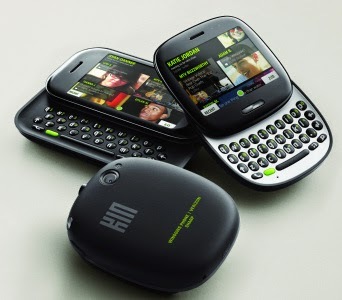 The team that created it were largely from a Microsoft subsidiary called Danger who developed the T-Mobile Sidekick. Because of the drain of talent and resources, Danger suffered a catastrophic systems failure which was an early example of what happens when cloud storage goes wrong. Effectively, this mess-up killed the successful Sidekick line. It rapidly became clear that the KIN product was not selling and the whole thing was cancelled. And then for good measure, Microsoft closed down the entire division responsible for the fiasco. Just to be on the safe side. The Motorola ROKR E1 is the phone that Apple would like you to forget. Why? Because the ROKR was a failed collaboration between Motorola and Apple and was designed to bring iTunes to a mobile phone. The device was hotly anticipated, with many rumours of iPod style phones and other exotic creations circulating. But when the ROKR leaked out it was almost crushingly boring, being a twice warmed-over version of a handset called the E390. Worse still, it was limited to just 100 tracks and it only had a slow USB 1.1 connector, making it a pain to transfer music to the handset. Despite a significant marketing campaign, the ROKR was a FLOPR and got a lot of negative publicity, although in reality it's quite a nice device to look at and the music playback is not bad. But Apple learned from their mistakes and came back a couple of years later with the world-changing Apple iPhone instead. Buyers guide: if you collect esoteric Apple-related devices, these can be had for about €30 but they don't come up for sale very often. Not all product disasters are because of bad products. The problem with the BlackBerry Z10 was that it was at least two years too late, and although it was a polished product with a lot of nice features there was basically no market, leading to a nearly billion-dollar stock writeoff and the firing of their CEO. It had taken BlackBerry over five years to come up with a product that was in any way competitive with the iPhone and other similar smartphones. These delays weren't an isolated incident, as we were pointing out the dangers for BlackBerry all the way back in 2009. Had the Z10 been launched in 2010 or 2011 perhaps it would have been in with a chance, but the Z10's 2013 launch was far too late to salvage BlackBerry's fortunes. 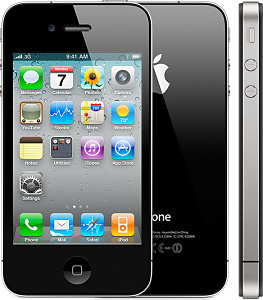 Despite the name, the Apple iPhone 4 was really the start of the second distinct generation of iPhones and it was a major improvement over previous generations. But a basic flaw in the antenna design led to widespread complaints which it took a while for Apple to acknowledge, and for a long time the iPhone 4 struggled under the weight of negative publicity. Apple fans are quick to forgive though, and although the iPhone brand quickly recovered this is still another bodged product launch that Apple would like you all to forget. 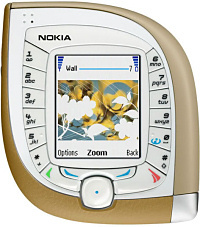 The Nokia 7600 was Nokia's second 3G phone, but it was the first one to be widely available. But the weird lozenge-shape and difficult to use keypad were completely nuts. Customers stayed away in droves. 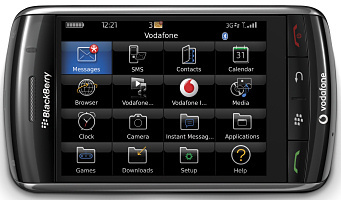 In any case, the market wasn't really ready for 3G and the Nokia 7600 wasn't alone in failing to set the market alight. It took another four years or so for the technology in 3G phones to match up with their promises. Buyers guide: these are pretty common, prices typically range from €20 to €50. The Siemens Xelibri range consisted of eight highly unusual fashion phones that were designed specifically to be used as secondary devices that you could take with you on a night out. Designed more for style than function, the Xelibri range never really caught on (despite a massive marketing campaign) and was canned after just two generations. Perhaps one of the key problems was price.. they were no cheaper than a standard phone of the time. But in these days of incredibly expensive and brittle smartphones, the idea of having a high-fashion secondary phone doesn't seem such a daft idea after all. Buyers guide: the Xelibri 1 is the rarest, the Xelibri 6 is the most widely available. Prices range from €20 to €50. 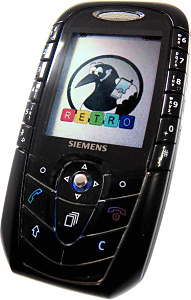 Both Siemens and Nokia were companies that could produce a weird looking handset. Although at first glance the Siemens SX1 Symbian smartphone looked normal, a closer inspection showed that the number keys were arranged up the side, making it rather awkward to use for any kind of text input. There have only been a few successful non-Nokia Symbian devices. 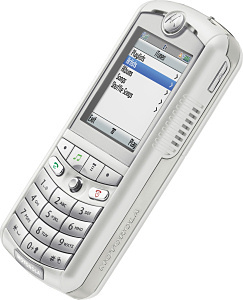 The SX1 was not one of them, but it was at least a good looking mobile phone. Buyers guide: the SX1 never sold very well, but does come up for sale sometimes. Price range is around €30. BlackBerry's first attempt to counter the iPhone was the BlackBerry Storm, launched in 2008. But it had a poor screen and buggy software. Early negative reviews proved a major embarrassment and the product bombed. Despite the failure of the Storm, BlackBerry posted impressive growth figures over the next couple of years, but it could never match the iPhone which led to the firm's decline. The original Motorola RAZR had been a massive hit (despite its awful software), but it was strictly a fashion phone.. and fashions change. 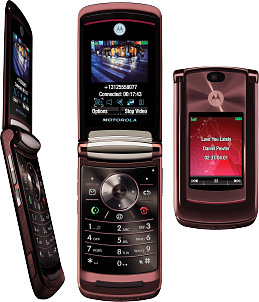 However, Motorola kept pumping out RAZR variants in an attempt to regain some of the old magic and the Motorola RAZR2 was a high-profile attempt that failed. Despite the name "RAZR2", there had been a dozen or so variants of the original RAZR by the time this came out, and even more afterwards. But while Motorola were warming over the same old formula, Apple was busy redefining mobile handsets with the iPhone. The rise and fall of Palm over the years is a complicated story of an early innovator being outpaced by upstart rivals. 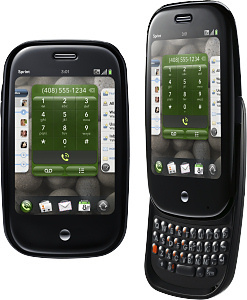 By 2009 it was in terminal decline, and is a last ditch-attempt to reverse its fortunes it piled all of its resources into the WebOS-based Palm Pre, an interesting touchscreen device that could have been a world leader if they'd announced it a couple of years beforehand. Sales weren't very great, and eventually the company was taken over by HP leading to the failed Pre 3 in 2011. 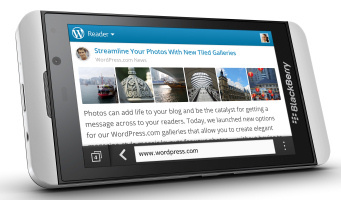 Cutting their losses, HP killed the entire WebOS product line and effectively killed Palm's legacy dead.